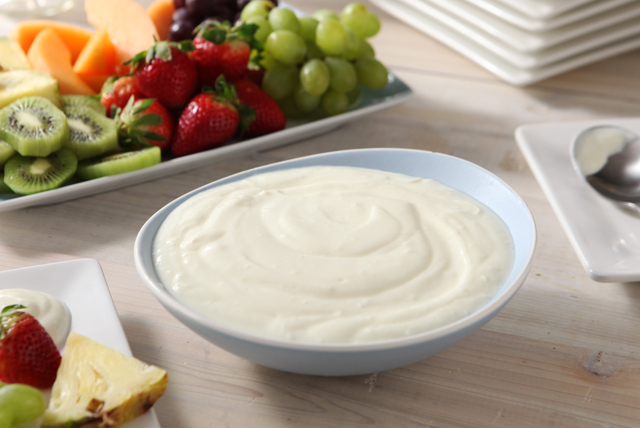 This citrusy yogurt dip is the perfect accompaniment for cut-up fresh fruit. It's creamy, smooth and not too sweet. Place remaining drink mix in 1-qt. plastic or glass pitcher. Add 1 qt. (4 cups) cold water; stir until drink mix is completely dissolved. Serve over ice cubes in tall glasses.